Super cute gift card. Thank you so much for the opportunity. I like you on FB!! Thanks for all your work!!! Really appreciate!! 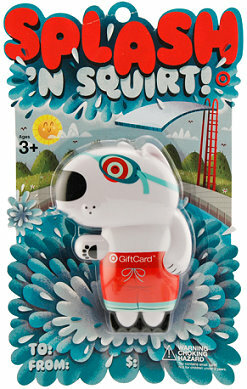 I want one one I love Target !!!!! Hooray! Just took the kids to the pool today! Another cute gift card. Thanks. Thanks for everything. I love totally target. I would love to win this gift card… Thanks for the opportunity…. I’m ready for some summer fun. 🙂 this gift card would help a lot. That is cute & will come in handy, Target is the best !!!! Would love the card to go score some groceries! I already like you on facebook! You guys are awesome! Here’s my first entry please! Would love win, how exciting! Thanks! I have already liked totally target. Thanks again! I would love to win a Target gift card, thank you! Also following u on twitter! Oh, I love you on Facebook! I would love to win this. I love the generous giveaways each week. Thanks so much!